Jon wrote in: Looks like the Grace [screwdriver] kit is going to be a lightning deal at 4:40 PST today. Outstanding screwdrivers, might have to see about picking up a set as a gift. It took me a little bit of searching, but I tracked down the screwdriver set Jon mentioned. 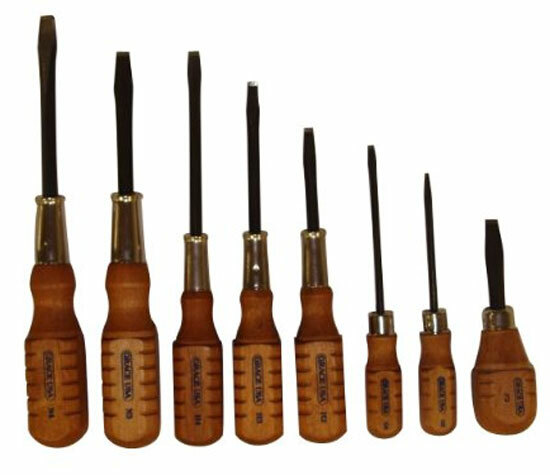 It’s a Grace 8pc made-in-USA wood-handled slotted tip screwdriver set. These are great for gun care, and woodworking as well, as the tips are engineered with a hollow ground profile. 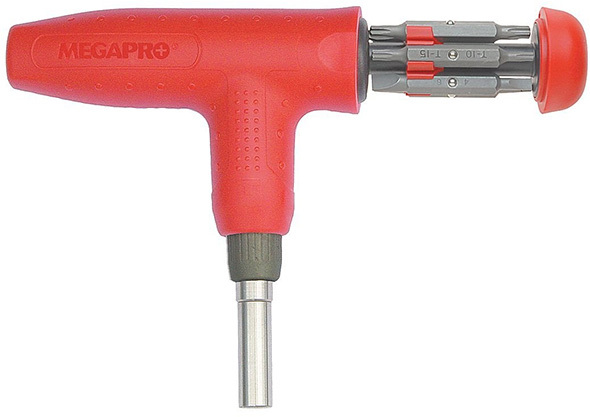 Hollow ground screwdrivers are perfect for use on adjustment screws, or other fasteners where you want to minimize the risk of stripping or damage. 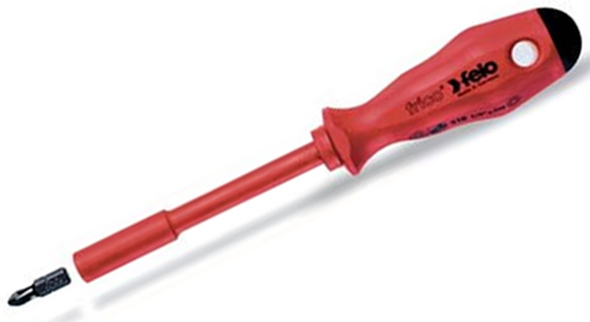 Generally, hollow ground screwdrivers provide a more secure and careful fit. Right now, the set is priced at $32.99 via Amazon, but there will be a lightning deal starting at 5:40pm EST (12/3/2013). Grace also makes wood-handled Phillips screwdrivers and Torx drivers, but those sets won’t be on sale. With Amazon lightning deals, you have a fixed amount of time to purchase the sale item until it goes back to its regular price. Supplies are often limited, so you sometimes have to act fast. This deal appears in the sports & outdoors section, and not the tool department. « Share Your Black Friday and Cyber Monday Tool Buys! That does seem a little low, but I suppose $3 is better than nothing. It looks like they sold a little over 45% of their allocated deal inventory. Stuart, these are also sold at Harry J Epstein under “Gun care”. $3 is a drop in bucket, as you not only still have to spend another $3 to obtain free shipping, only to be hit with a tax rate as well. At least with Epstein’s, I know what the costs are and I don’t feel as if I am being ripped off either. That and Jori, Steve, Ken and the rest of the Epstein staff are honest awesome people. Amazon on the other hand, I am not sure. Hands down, Grace manufacturers some of the best file holders though. This set is exactly like my old late-1980’s purchased imported set, down to the shaft lengths, where the retention dimples are on the handguard and how many slots are cut on the wooden handles. What a concept. 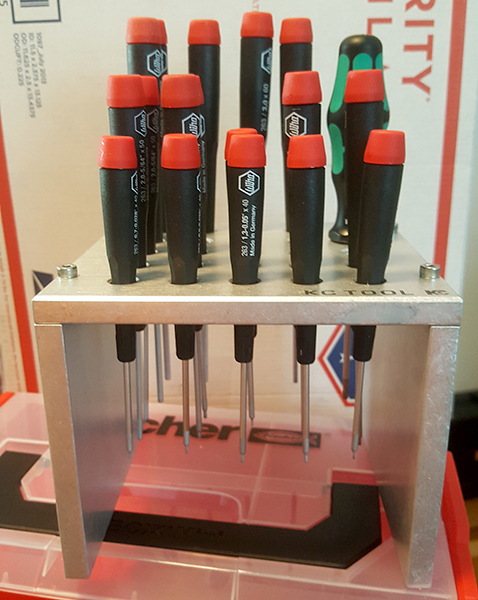 Take a cheap imported screwdriver set, hollow grind the tips, stamp a brand on it, double the price and call it “Made in USA”. Grace tools are all made in the US, they aren’t imported and merely stamped that way. They make a variety of screwdriver types, brass hammers and punches primarily for guncare but they’re great for woodworking as well. They’ll even make custom screwdrivers for $10.